The Margaret River – Augusta region of Western Australia is home to some of the country’s best wineries, some of the most rugged coastlines (including Cape Leeuwin with its century-old lighthouse), some of the most amazing trees (Karri pines – mighty eucalyptus that can grow up to 90 metres tall) – and some of the most amazing caves. 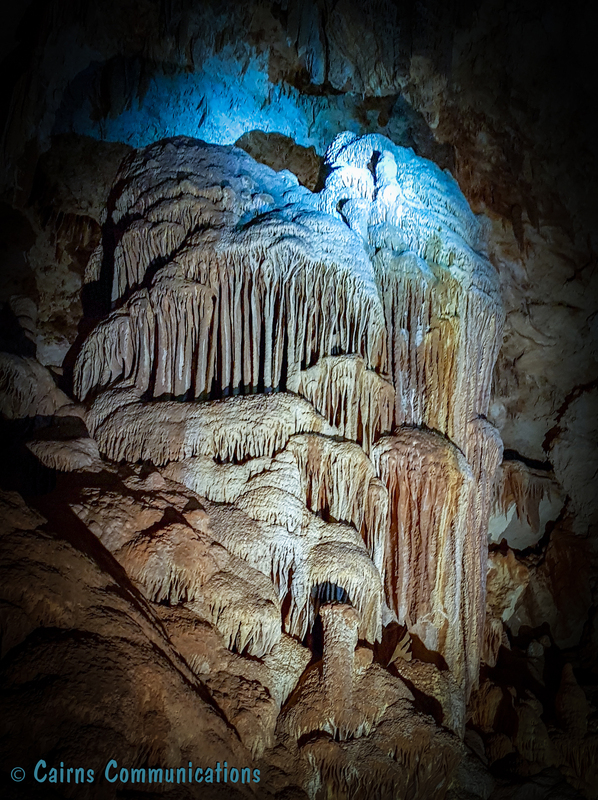 Of the 100+ caves in the region, one of the most accessible is the Jewel Cave – which was opened as a tourist attraction in 1959. Jewel’s noted not just for its amazing stalactite and stalagmite structures (including this, the “Karri Forest”) but also for the skeleton of a Tasmanian Tiger which fell into the cave and perished. There are half a dozen hour-long guided tours most days, with prices ranging from $12 for kids to $25 for adults. Travel Pics Theme: On the Road Again! Climbing back into prehistory.